ASX Clear is the clearing house for Australia’s equity markets, including cash equities and equity options. is recognised as a ‘Qualifying CCP’ under the prudential standards applicable to Australian banks set by Australia’s banking regulator (Australian Prudential Regulation Authority). ASX Clear is authorised to clear transactions for certain customers located in a number of jurisdictions, including the EU and United States. ASX Clear is currently the sole provider of clearing services for Australia’s equity markets, and has made a number of commitments to customers of its cash equities clearing services which are set out in a Code of Practice. The Board of ASX Clear is made up of 3 directors from ASX Limited and 3 non-ASX Limited directors. The Chair is a non-ASX Limited director. The non-ASX Limited directors can form a quorum to consider any conflict or commercially sensitive matters for listing and trading venues concerning their clearing arrangements with ASX Clear. The directors of ASX Clear are listed below. Mr Ian McGaw is one of three non-ASX Limited directors of ASX’s clearing and settlement licensees for Australia’s equity markets, ASX Clear Pty Limited and ASX Settlement Pty Limited. Mr McGaw has long standing expertise in clearing and settlement matters gained through his experience in Australia and the United Kingdom. 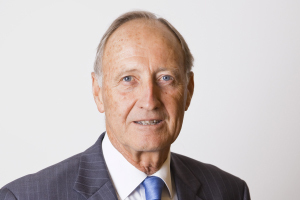 Mr McGaw is a former Group Managing Director at the London Clearing House (now known as LCH Clearnet Group) and an independent consultant to the derivatives industry. Mr McGaw is a director of each of the ASX Group clearing and settlement facility licensees and their intermediate holding companies. Mr McGaw is also a director of Securities Exchanges Guarantee Corporation (SEGC). SEGC operates independently of ASX as the trustee of the National Guarantee Fund (NGF), the compensation fund for certain losses incurred by investors who trade in ASX-quoted securities. Ms Pippa Downes is one of three non-ASX Limited directors on the Board of ASX’s clearing and settlement licensees for Australia’s equity markets, ASX Clear Pty Limited and ASX Settlement Pty Limited. Ms Downes has had a successful international banking and finance career spanning over 20 years. She has led the local derivatives and trading arms of several of the world’s leading investment banks and has extensive experience in capital markets, derivatives and asset management. Ms Downes was a Managing Director and Equity Partner of Goldman Sachs in Australia until October 2011, working in the Proprietary Investment division. Prior to joining Goldman Sachs, she held senior roles as director and the Head of Equity Derivatives Trading at Deutsche Bank in Sydney, Head of the Equity Derivative and Proprietary Trading business for Morgan Stanley, based in Hong Kong and Australia, director for UBS in Sydney, and roles on the floor of the Pacific Coast Stock Exchange in San Francisco and the Philadelphia Stock Exchange. Ms Downes is a director of each of the ASX Group clearing and settlement facility licensees and their intermediate holding companies. Ms Downes is also a member of the ASX Disciplinary Tribunal, a review panel to hear appeals from Listings and Enforcement decisions by ASX Compliance. Ms Downes was appointed as a director of Australian Leisure and Entertainment Property Management Limited in November 2013 and Windlab Limited in July 2017. 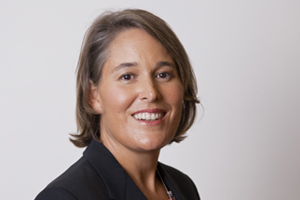 She is also a director of the Sydney Olympic Park Authority and Australian Technology Innovators Pty Limited. Ms Downes was appointed as a Commissioner to Sport Australia in December 2018. 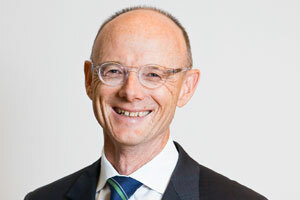 Mr Rob Woods is Chairman and one of three non-ASX Limited directors of ASX’s clearing and settlement licensees for Australia’s equity markets, ASX Clear Pty Limited and ASX Settlement Pty Limited. Mr Woods has over 25 years of experience in financial markets. He was Chief Executive, Strategy at Challenger Limited, and has previously served as Chief Executive of Challenger's Funds Management and Asset Management businesses. Mr Woods started his career at Bankers Trust Australia and became Executive Vice-President and Head of Equity Derivatives. Mr Woods is a director of each of the ASX Group clearing and settlement facility licensees and their intermediate holding companies. Their biographies are available here. ASX Clear (Futures) is the clearing house for Australia’s derivatives and OTC markets. ASX Clear (Futures) is authorised to clear transactions for certain customers located in a number of jurisdictions, including the EU and United States. The directors of ASX Clear (Futures) are listed below. ASX Settlement is the settlement and depositary system for Australia’s equity markets. complies with the CPMI-IOSCO Principles for Financial Market Infrastructures and Australian Financial Stability Standards. ASX Settlement is currently the sole provider of settlement services for Australia’s equity markets, and has made a number of commitments to customers of its cash equities settlement services, which are set out in a Code of Practice. ASX Settlement has announced that it will move from a T+3 to a T+2 settlement cycle in the first quarter of calendar year 2016. ASX Settlement’s decision to shorten the settlement cycle by a business day was based on industry consultation and a recommendation provided by an industry advisory Forum established by ASX under the Code of Practice. The Board of ASX Settlement is made up of 3 directors from ASX Limited and 3 non-ASX Limited directors. The Chair is a non-ASX Limited director. The non-ASX Limited directors can form a quorum to consider any conflict or commercially sensitive matters for listing and trading venues concerning their settlement arrangements with ASX Settlement. The directors of ASX Settlement are listed below. Austraclear is the settlement and depositary system for Australia’s fixed interest markets. The directors of Austraclear are listed below. ASX Clearing Corporation is the intermediate holding company for ASX’s clearing licensees ASX Clear and ASX Clear (Futures). ASX Clearing Corporation manages the treasury function for ASX’s clearing houses. The directors of ASX Clearing Corporation are listed below. ASX Settlement Corporation is the intermediate holding company for ASX’s settlement licensees ASX Settlement and Austraclear. The directors of ASX Settlement Corporation are listed below.